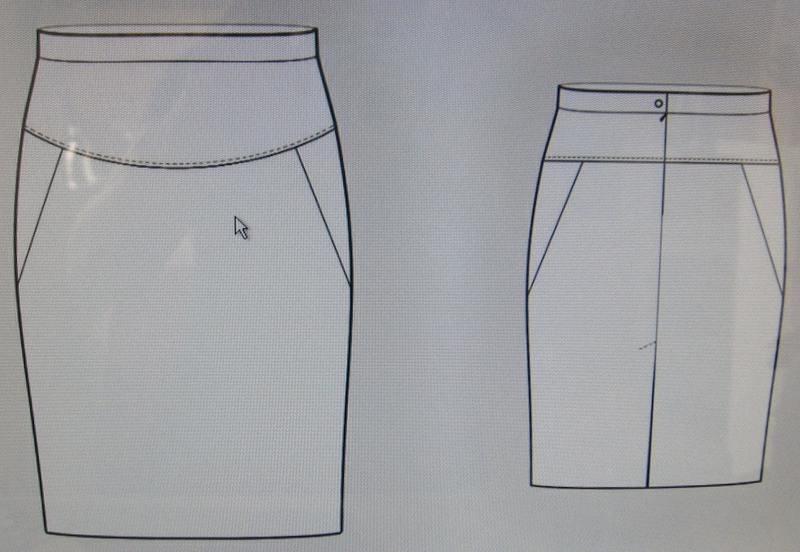 This skirt pattern is modern and easy to make with only slight adjustments, making it a versatile pattern for creating many styles. 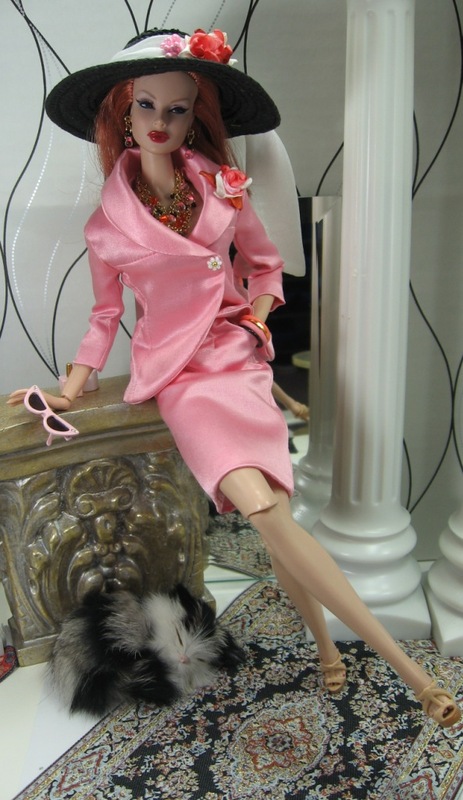 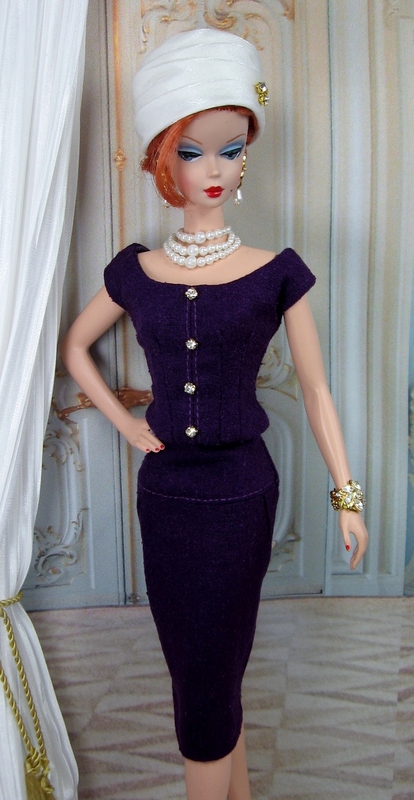 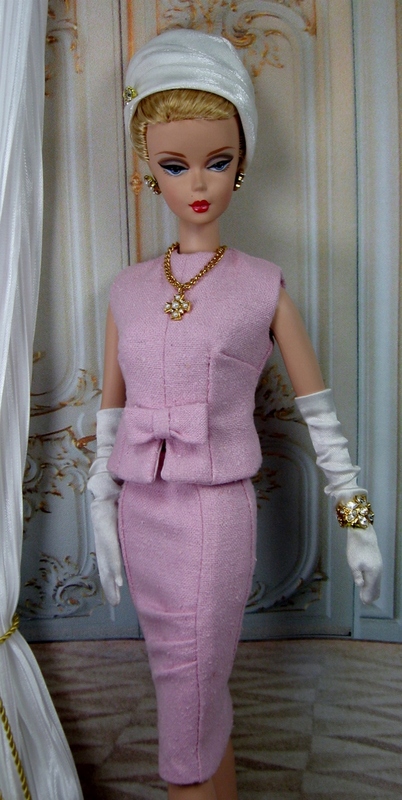 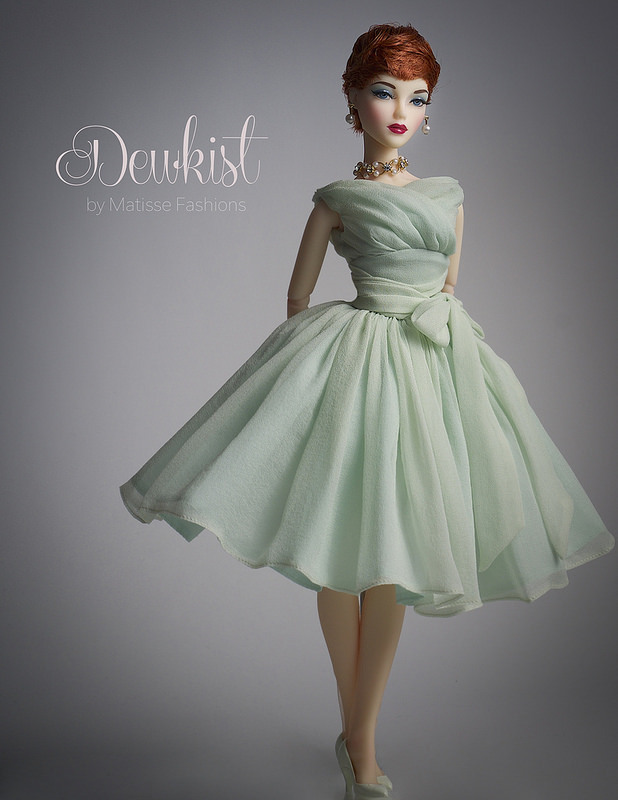 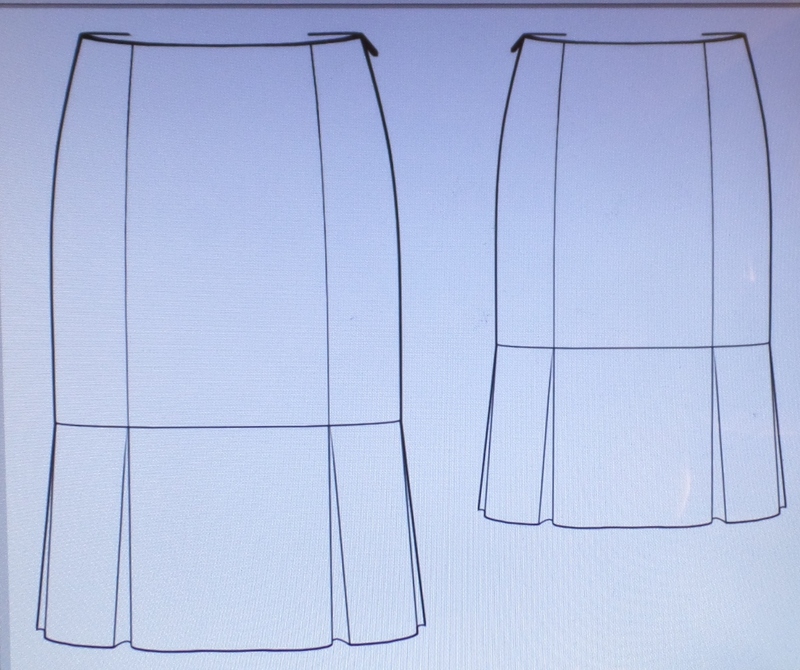 It has a side closure, bottom band, front pleats and sits at the hip for belly button dolls etc…I have changed it a bit to work better for the Silkstone doll body. 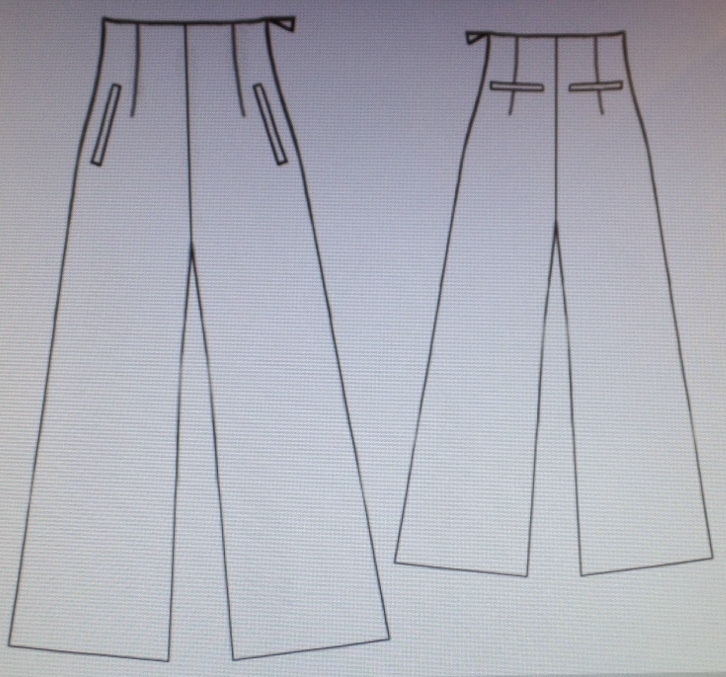 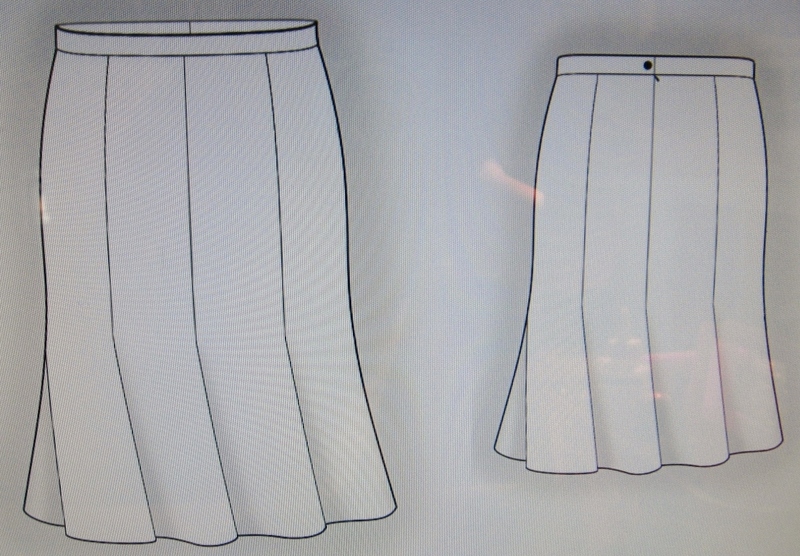 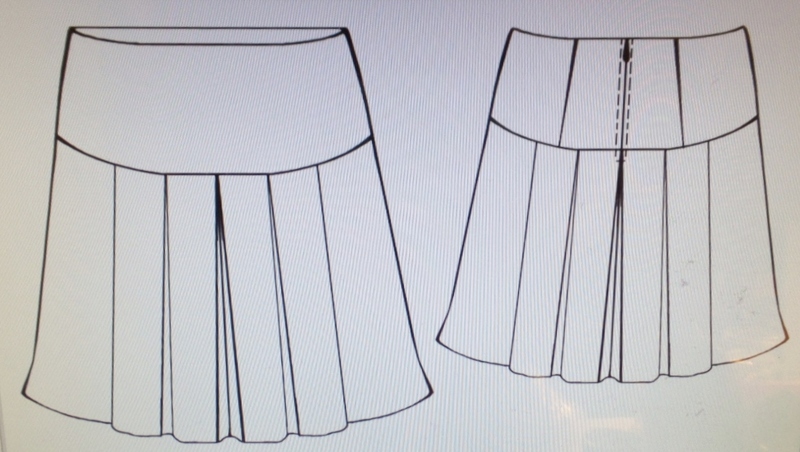 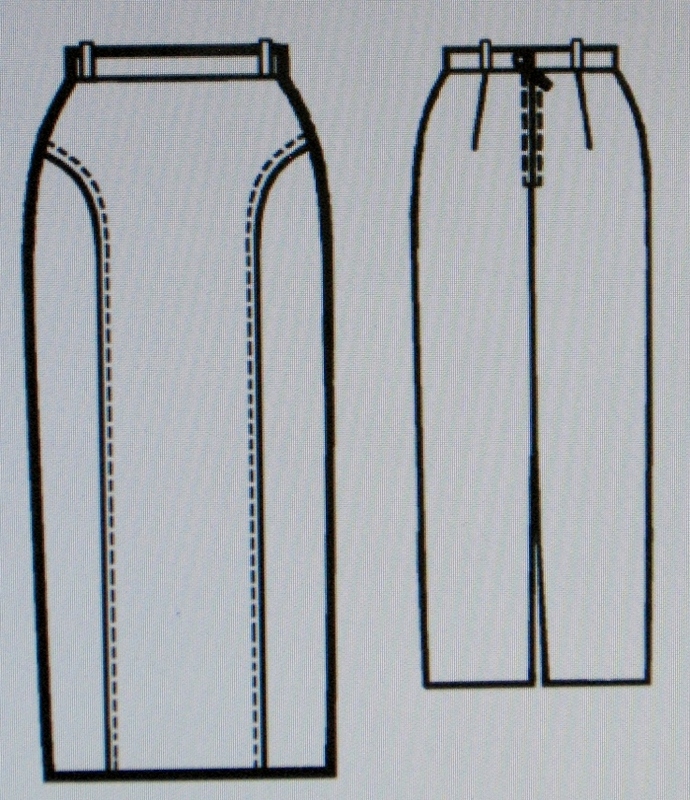 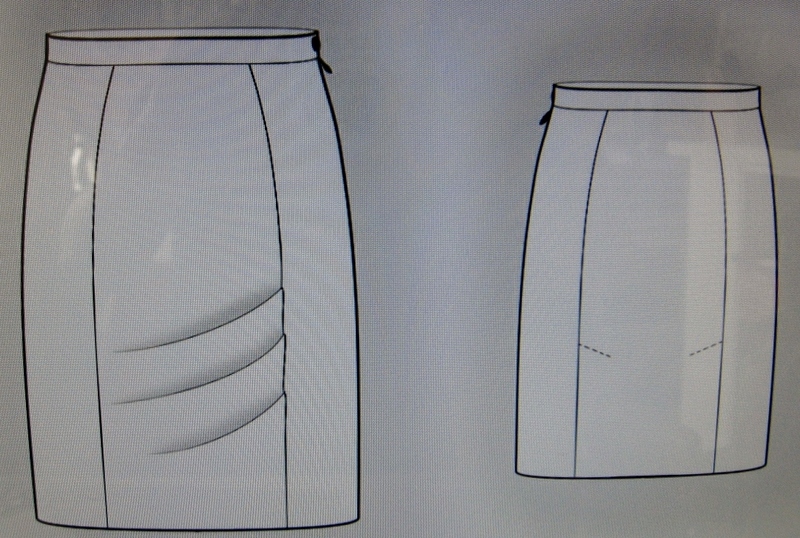 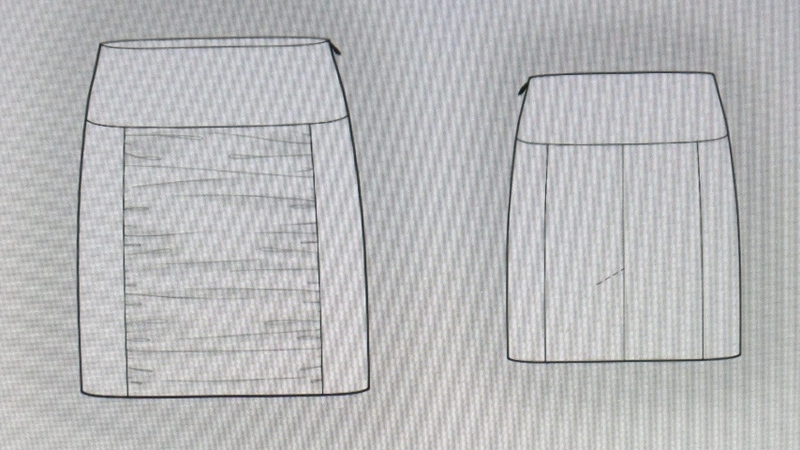 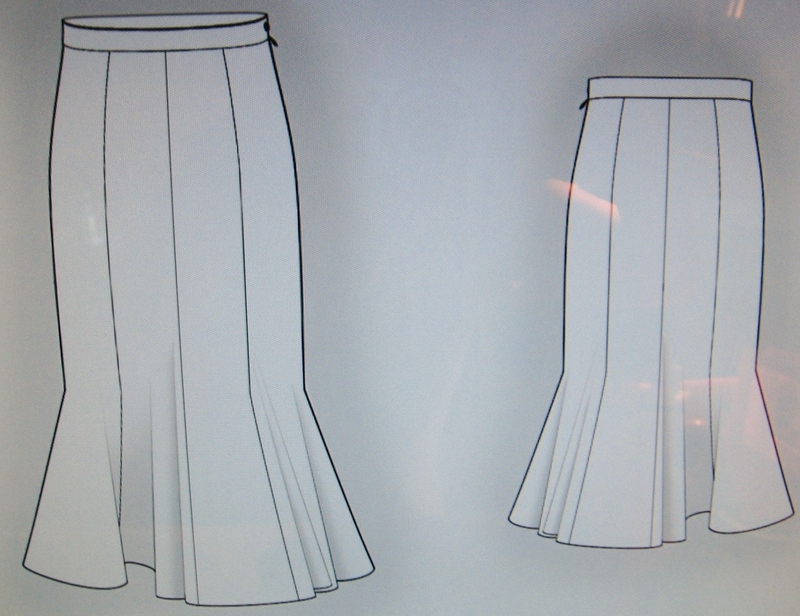 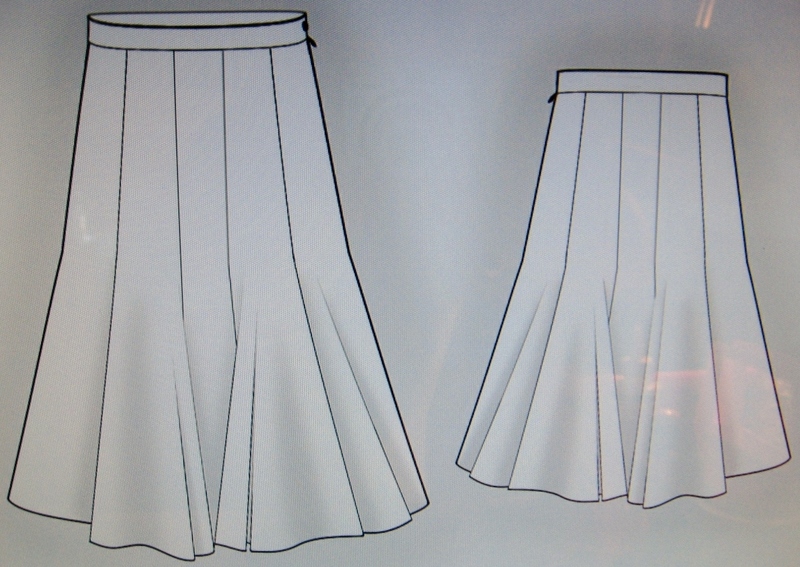 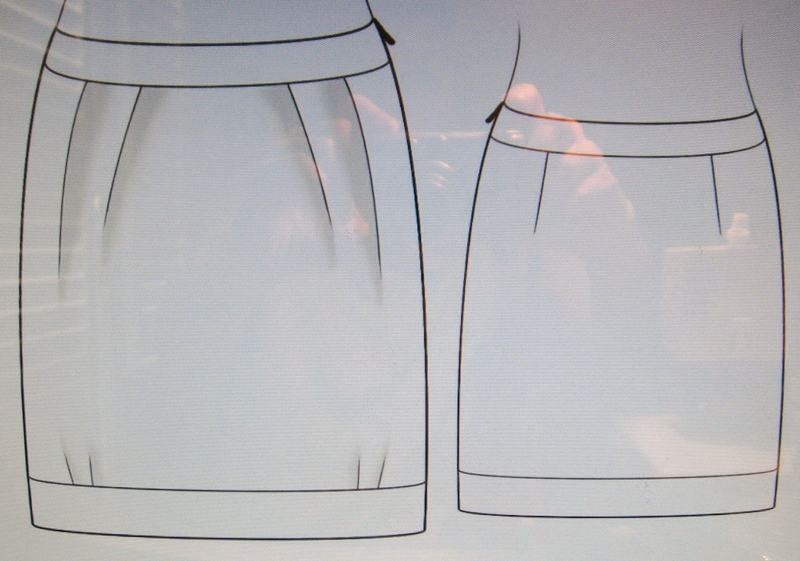 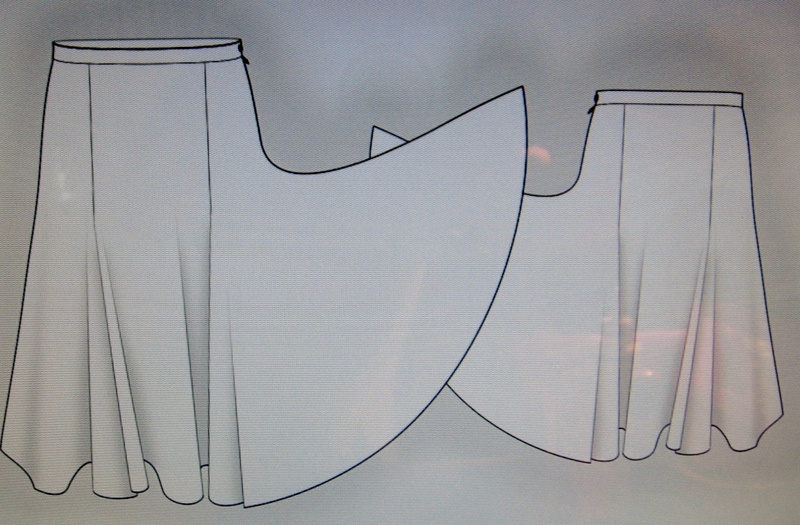 My version of the skirt has a back closure instead of a side closure, I have left off the bottom band and closed the front pleats so it sits at the waist instead of the hip as shown in the artist rendering. 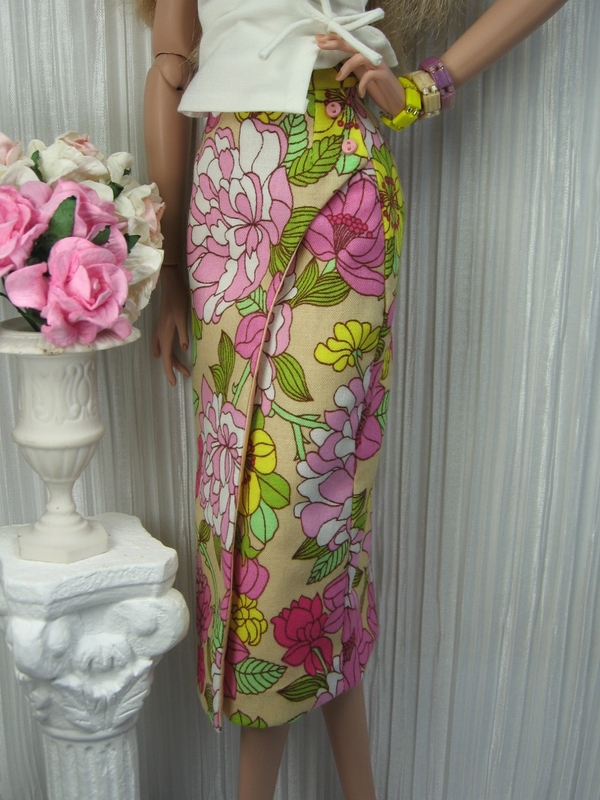 This is my second order this week! 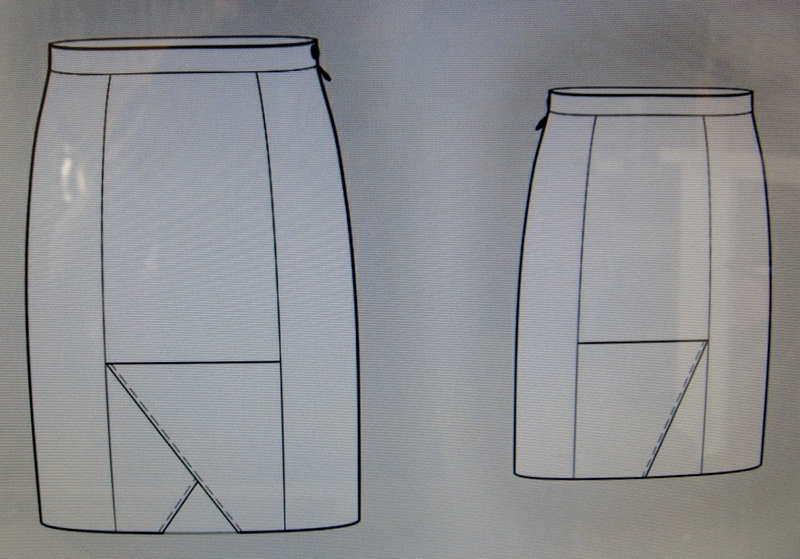 Are these patterns 4 for $5.00?